“The competition combines the legal aspect with performance which I really enjoy,” Ruben says. The Witness Examination Competition is a simulated civil or criminal trial run by the Law Students’ Society. Students compete in teams of two, taking on the role of a barrister or a witness. “You compete one evening every two weeks, and you receive the brief from the client 48 hours before you appear,” Ruben says. “There’s not as much time and preparation involved as there is for mooting, so there’s no independent legal research. Ruben now also acts as a judge for first year witness examinations and takes his role very seriously. “The first time I judged I gave 45 minutes of feedback!” he says. At some of the competitions, practising barristers come in to act as the judge, something which Ruben believes provides an invaluable opportunity to students considering a career as a barrister. “I ultimately want to go the bar, and I think that’s been affirmed by the witness examination competition,” he says. Ruben’s background in performance and theatre led him to consider a career in law, and he has a specific interest in intellectual property law. “My father is an artist, and having grown up working with ideas, I’m interested in how they are protected, or, more often than not, exploited,” he says. As part of MLS’s Public Interest Law Initiative (PILI), Ruben last year undertook an internship at Native Title Services Victoria, where he looked at how Indigenous traditional knowledge can be protected. “This was a particularly interesting space because, more often than not, Indigenous traditional knowledge won’t be protected as intellectual property,” he says. While interning there, Ruben would travel on country to meet with traditional owners, an experience which he cherished. “It was a really nice experience to connect with the reality of the law,” he says. 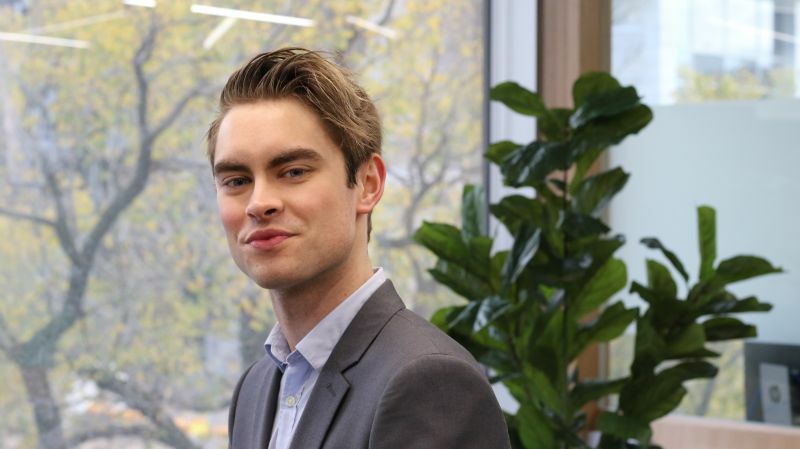 While becoming a barrister is Ruben’s ultimate goal, a stint in private practice working in private law – particularly in intellectual property is definitely something he would like to do, possibly with a focus on technology. “I’ve been working at a digital consultancy, so that’s become another area I’m interested in,” he says. And while he may have swapped the theatre for the courtroom, Ruben still makes some time for the opera. “I have still been doing contract work for the opera as a choreographer,” he says.